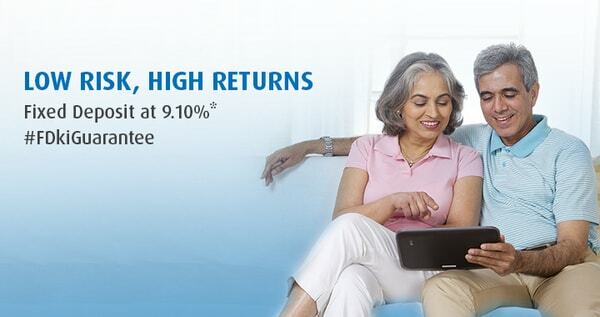 Switch your home loan to Bajaj Finserv at 8.50% interest rate and get high top up loan amount. Get a home loan up to Rs.3.5 crore at rates starting 8.50% from Bajaj Finserv. An Income Tax is a tax that is levied on the income earned by working individuals. Most governments impose taxes on financial income generated by all entities within their jurisdiction. This is the primary source of funds for the government to finance all its activities. All businesses and individuals must file an income tax return every year to determine whether they owe any taxes or are eligible for a tax refund. This income tax that you need to pay depends on a number of parameters that include the type of income, the amount of income, your age, the investments that are considered under tax deduction. Your income tax is usually deducted by your employer. By declaring your taxes in advance, you don’t need to apply for the tax refunds later. What are the salary slabs for Income Tax in India? When the total income is above Rs.50 lakh, you will be levied a surcharge of 10%. When the total income is above Rs.1 crore, you will be levied a surcharge of 15%. Tax deductions help you to reduce the overall tax that you pay on your total income. You can claim a tax deduction on the money you spend on tuition fees, medical expenses, and charitable contributions. There are certain investments that also help you bring down that overall tax that you pay. These investments include life insurance plans, health insurance plans, retirement savings schemes, and national savings schemes, etc. What are the different sections under which you can claim tax deduction? Section 80C: This section states an exhaustive list of the deductions you may be eligible for, the subsections in this include: Section 80 CCC: This section states the tax deductions on investment in pension funds. You can claim a tax deduction of up to Rs.1.5 lakh. Section 80 CCD: In order to encourage individuals to save, this section incentivises investing in certain pension schemes. Here, the contributions made by the individual and his or her employer are eligible for a deduction. Section 80 CCF: Open to both Hindu Undivided Families and Individual, this section has the provisions for tax deductions on subscription of long-term infrastructure bonds which have been notified by the government. You can claim up to Rs.20,000 under this section. Section 80 CCG: Under this section, you are allowed a maximum deduction of Rs.25,000 per year. Investments in various equity savings schemes by the government fall under this section. The deduction can be up to 50% of the amount invested. Section 80D: Under this section, the premium paid towards a health insurance policy issued by the government can be claimed for tax deduction. Premiums for health insurance for self, spouse, and dependent children can be claimed. You can also claim deduction for on the premiums of health insurance of parents of up to Rs.25,000 if they are less than 60 years of age or Rs.50,000 if the parents are more than 60 years old. Additional tax deduction of Rs.5,000 is also available on preventive health check-ups. You can claim a maximum of Rs.100,000 under this section. Section 80E: Individuals repaying a loan taken to pursue higher education can avail tax deduction under this act. The loan can be avail either by the individual or to sponsor the education of his/her ward/child. Only individuals are eligible for this deduction, with loans taken from approved charitable organisations and financial institutions permitted for tax benefits. The maximum deduction permitted under this section is Rs.3 lakh. Section 80G: Under this section, all funds donated to charitable institutions are eligible for tax deductions. The limit of these deductions can be based on few factors. 100% deductions without limit– This type of deductions include donations to National Defence Fund, Prime Minister’s Relief Fund, National Illness Assistance Fund, etc. and qualify for 100% deduction of the amount. 100% deduction with qualifying limits – This includes donations to organisations that promote family planning and development of sports are eligible for 100% deduction as long as it is up to 10% of the total income. 50% deduction without limits – Donations to PM’s Drought Relief fund, Rajiv Gandhi Foundation, etc. qualify for 50% deduction. 50% deduction with qualifying limit – Donations to religious places or to local authorities for purposes apart from family planning and other charitable institutes qualify for 50% deduction if the amount is up to 10% of the total income. Under Section 80G has been further subdivided into four sections to simplify understanding. Section 80GG: Individuals who don’t get house rent allowance are eligible for this deduction on the rent paid by them. You are eligible for a maximum deduction of up to 25% of your total income or up to Rs.2,000 per month. The lower of these options can be claimed as deduction. Section 80GGA: All donations help social/scientific/statistical research or towards the National Urban Poverty Eradication Fund are eligible for tax deduction. Section 80GGB: Tax deductions are applicable to Indian companies that donate money to political parties. This section offers tax benefits on home loan, first-time home buyers are eligible for a tax deduction of up to Rs.50,000 per financial year. You can claim tax deduction under this until your home loan has been repaid. How to calculate your Income Tax on your salary? You can easily compute the Income Tax that you need to pay on your salary by using the Income Tax calculator. Your gross salary includes your basic salary, HRA, Special Allowance, Transport Allowance, and other allowances. 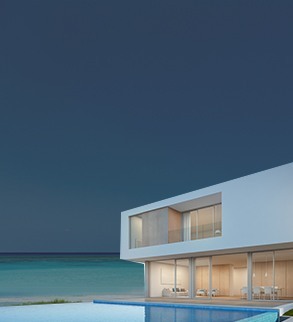 Out of this, you can claim for a tax deduction for certain components such as medical reimbursements, telephone bill reimbursement, HRA - if you live in a rented house. For Transport Allowance, the exemption limit is about Rs.1,600 per month or Rs.19,200 per year. This means that you can claim a tax deduction of up to Rs.19,200 for the year. Say you earn a basic salary of Rs.40,000 per month, your HRA is Rs.20,000, and you get a conveyance allowance of Rs.4,000. Your special allowance is about Rs.2,000 and you get an Leave and Travel Allowance of Rs.10,000 per year. If you have travelled with your immediate in that year, you can claim the fare of economy class air ticket, first-class ticket, or the ticket of a recognised public transport. Let’s assume you spent Rs.7,000 for 2 first-class train tickets for you and your spouse, you can claim this amount under LTA. The Income Tax is calculated on the total income you earn from various sources such as your salary, home rental income, income from sale purchase of shares and property, income from business, interest on fixed deposits, and bonds, etc. You may have income from other investments such as an interest of Rs.10,000 on a fixed deposit. What is an Income Tax Return? An Income Tax Return is a tax form prescribed by the Income Tax department with a set format wherein income figures will be used calculate the tax liability. These returns need to be filed every year for sources of income earned by an individual and or a business. These returns need to be filed before a specified date. If the return shows excess tax has been paid in a year, you can be eligible for a ‘tax refund’, subject to the department’s interpretations and calculations. When can you file for your Income Tax Returns? The due date for income tax filing for your Income Tax Returns for the financial year 2017 – 2018 is 31st August 2018 for individuals and 30th September 2018 for businesses. What is a financial year? A financial year for filing for your income tax is the year in which you earn an income. In India, this financial year begins from the 1st of April to the 31st March. An assessment year for your Income Tax filing is the year following the financial year for which your income is being assessed. For example, the income you earn in the financial year 2017 – 2018 (between 1st April 2017 – 31st March 2018) will be assessed in the year 2018 – 2019, making it the assessment year. What is the process for filing your Income Tax? • Log on to IncomeTaxIndiaeFiling.gov.in and register on their website. • View your tax credit statement or Form 26AS, the amount on your TDS certificate must tally with the figures in Form 26AS. • Click on the income tax return form and choose the financial year. • Download the ITR form applicable to you. • Open the attached excel and fill out the form by entering all details using your Form 16/TDS certificate. • Check the tax payable amount by clicking the 'calculate tax' tab. • Pay the tax applicable and fill in the challan details. • Confirm all the data provided in the worksheet by clicking on the 'validate' tab. • Generate an XML file and save it on your system. • Go to the 'upload return' section in the portal's panel and upload your saved XML file. • A pop-up will be displayed asking you to digitally sign the file. • The acknowledgement form, ITR Verification (ITR-V) will be generated. • You will need to take a printout of the form ITR-V and sign it in blue ink. • Fill and submit ITR1 or ITR 4S form online. • You can submit the ITR 1 or ITR 4S forms by uploading XML. • Login to e-filing application. • Go to 'e-File' 'Prepare and Submit ITR Online'. • Select the correct Income Tax Return Form and the assessment year. • Fill in the details and then click the submit button and select Digital Signature Certificate. • After submission, acknowledgement detail is displayed. • Click on the link to view or generate a printout of acknowledgement/ITR V form. The data generated herein is completely and solely based on the information/details provided by you in response to the questions specified by Bajaj Finserv Limited. These questions and the calculations thereon resulting in specific data are developed and based on certain tools and calculators that are made available to Bajaj Finserv Limited and are based on pre-determined presumptions/assumptions. Such information and the resultant data is provided only for user's convenience and information purposes.